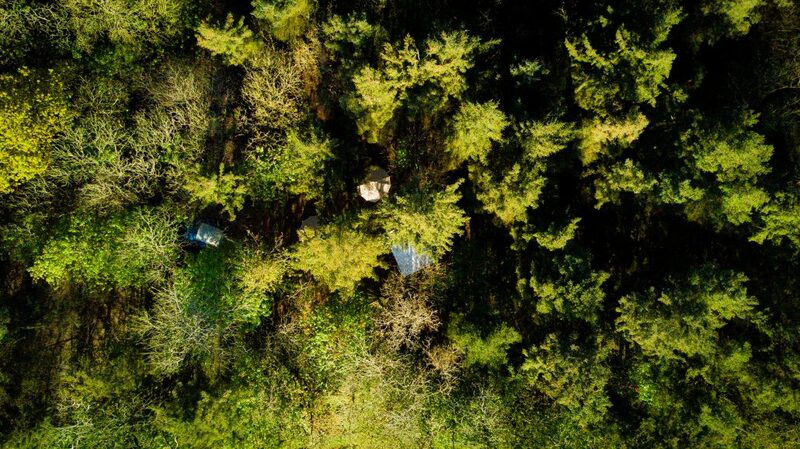 AN EVENING OF WILD CAMPING IN OUR PRIVATE CORNISH WOODLAND? Adventure filled weekend getaways perfect for solo travellers, couples & friends. 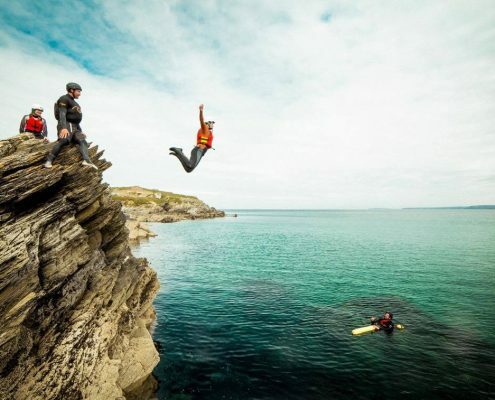 Join us for our unique Surfing, Coasteering & Wild Camping outdoor activity weekend package in Newquay. Enjoy Wild Camping in secluded Cornish woodland and combine it with our most popular water sports activities for a true Cornish Adventure. 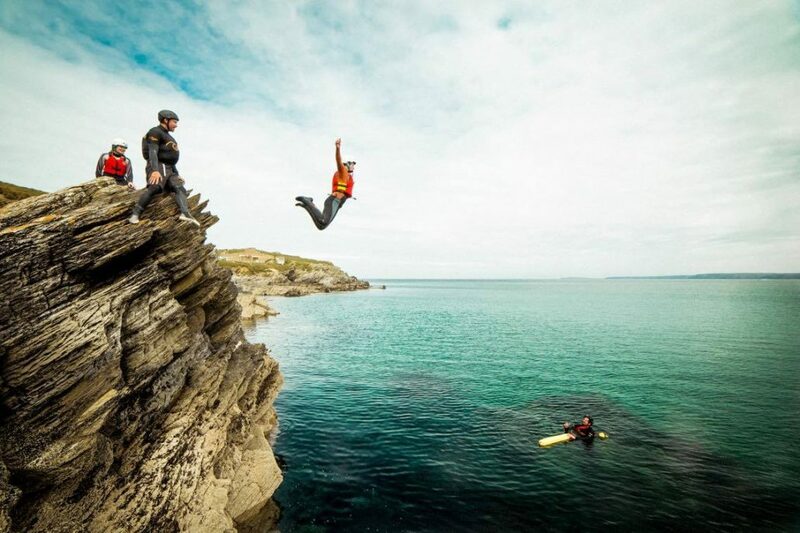 From learning to surf on Fistral beach or taking on deepwater cliff jumps in our coasteering sessions, to throwing axes, learning bushcraft skills and getting involved with cooking over an open fire, our wilderness & adventure weekends are packed with excitement and adventure. Sleep under the stars in our luxury bell tents or kick back in a hammock for a true outdoor experience. 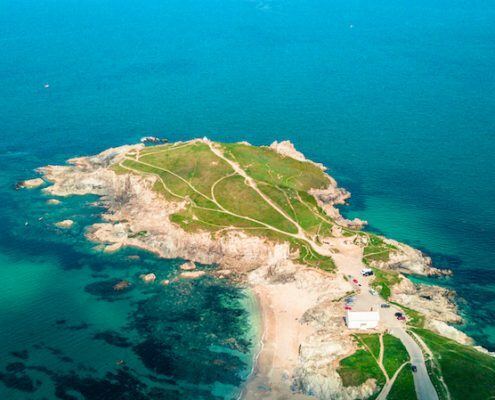 Our unique adventure activity experiences are perfect for couples, friends and groups who are seeking a slice of outdoor adventure in Cornwall. A quick run down of how the weekend unfolds. 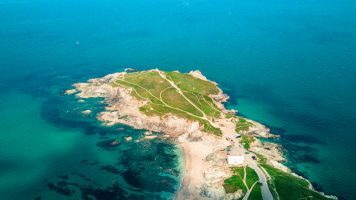 Your weekend consists of two surf lessons, a coasteering session and an overnight camp at our private wild campsite. We kick the weekends off early with a warm welcome and an introduction & overview of how the weekend will run. Saturday is the big day with two water activities & wild camping. Each of the activities is two hours long and includes all the kit, you’ll need a few personal items for the weekend, so make sure you see our packing list before you arrive. After lunch its time for the afternoon’s activity, coasteering. Once your group is kitted out you’ll take a short walk over to our coasteering location, commonly known as the ‘Gazzle’. Don’t worry if you aren’t confident in the sea or have never tried coasteering before, your group will have two knowledgeable guides who will explain and demonstrate all the skills you need to have a fantastic time. Once the day’s water activities are finished you’ll have time to grab your belongings for the evening and visit the supermarket across the road from our base before we leave in convoy to our wild campsite. We recommend some bbq food and one or two of your favourite drinks, we’ll provide the rest. For those without transport, we’ll help you arrange a lift share with other members of the group. 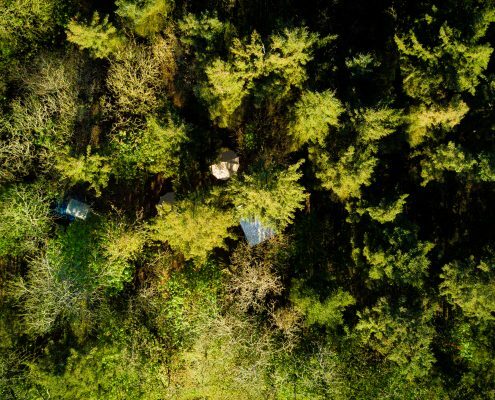 The wild camp is a lovingly crafted space in our own private woodlands set on a working dairy farm in the heart of Cornwall. 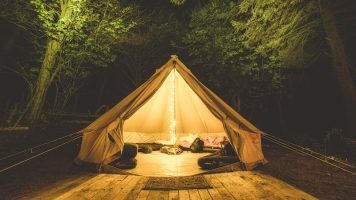 After a quick introduction to the camp, you’ll want to settle into your shared Bell tent (air bed & pillow provided) before the evening activities begin. With axe throwing, balance games and firefighting skills there’s plenty going on throughout the evening to keep you entertained. Finish the night off with stories around the campfire, roasting marshmallows or one or two of your favorite drinks before sleeping soundly under the stars. Sunday morning starts with bacon & egg rolls with tea and coffee (on us) before we wave goodbye to the wild camp and head back to Newquay, jump into a wetsuit and hit the Cornish waves one last time. By 1pm we are typically all surfed out and ready to say fond farewells and home time. If you don’t see availability for the weekend you want please email us using hello@cornishwave.com or call 01637 872031 between 7am & 9pm each day. I’M TRAVELLING ALONE, IS THIS SUITABLE FOR ME? Yes, these weekends are perfect for solo travellers, mixed friends and couples. We stick together all weekend so you’ll have plenty of chance to meet new and like minded adventure seekers. WHAT TIME DOES THE WEEKEND START? Typically we start at 9am on Saturday morning. We aim to be finished by 1pm on Sunday. 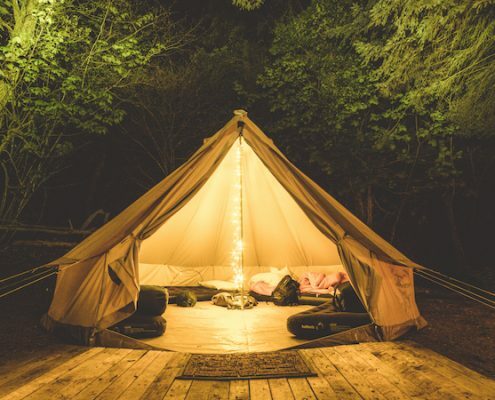 You’ll be sleeping in shared canvas bell tents provided with air bed and pillow. Upon arrival, you’ll have time to settle into your tent before getting stuck in with some fun woodland games, learning camping hacks and bbq cooking. HOW DO WE GET THERE, I DON’T HAVE A CAR? Our surfing and coasteering activities are two hours long from once the group is ready. The wild camp takes place from 5 or 6pm through to the following morning where we get an early start on the day and back to our final water activity. Typically the weekend starts at 9am on Saturday and finishes around 1pm on Sunday. Click the links below to find answers to in-depth frequently asked questions and other related information.